Here at Lekker Bikes, we often get asked many questions about not only our own bikes, but about bikes in general, and the many different styles that are out there. Whether it’s something sleek to propel you to work each morning, or a more laidback vintage cruiser, or, even one of our newer ebikes – we understand that making the right decision is not easy. 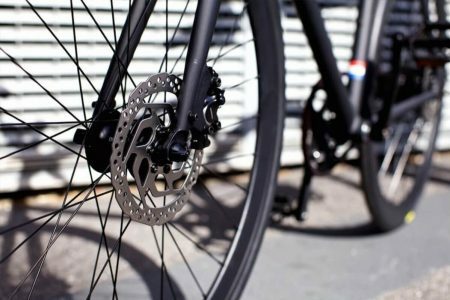 That’s why within this post, we’ll aim to address our customers’ most common questions from both of our Melbourne and Sydney shops, to help you get one pedal closer to choosing the bike that is perfect for you. Electric Bikes, or eBikes, first came onto the market around twenty or so years ago. Within the last few years however, with batteries becoming lighter and more durable, we’re seeing eBikes enter the mainstream market and gain widespread popularity as a reliable transport option. But, what are exactly the difference between the traditional bike, and, the eBike? Technically – an eBike, is a regular bike, but with the addition of an ‘electrical drive system’. This includes; a battery, a motor, a way to integrate the power from the motor to the drivetrain, and, a way to control this power. The motor is typically at the centre of the bike (close to the pedals), the battery at the rear, the drivetrain connected with the back wheel, and, the throttle on the handlebars. So, how does all of this extra stuff, improve my ride? 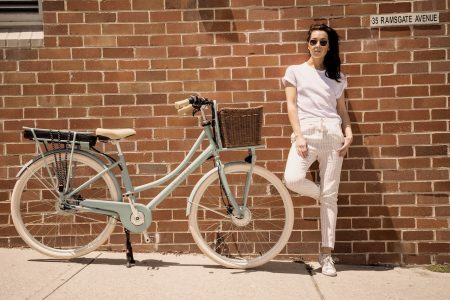 Any bike whether vintage, commuter or eBike, is in fact a great method of transportation and recreation as well – providing freedom, fun, health, stress-reduction, and enjoyment, along with less traffic and a cleaner environment. However, problems can begin to arise when such things as hills, fitness levels, health, as well as building up a sweat get in the way of you enjoying your bike ride. The electric motor is designed to solve these very issues, making riding time quicker, the hills flatter, and your overall riding experience, more convenient, easy and fun. You’re able to ride farther and with more ease during harsh conditions. Overall, an eBike simply makes it possible for more people to ride, and ride farther as well – eliminating some of the barriers that may stop people from beginning to ride a bike. A bike that is cleaned regularly, is easier to maintain, and will last you a great deal longer. A thorough wash after a ride in the wet – especially during winter months when the elements can get into the moving parts, can do wonders. It’ll prolong the life of your components and in doing so, save you time and money. A bucket of hot, soapy water along with a sponge is all that you’ll need. A simple rinse, followed by a thorough dry. When it comes to bike storage, it isn’t always easy. Ideally, storing your bike inside helps protect it best from the elements. Purchasing a floor stand or a wall mount might be a great option. If outside is all you have however, this can also be fine. You might want to invest in a floor stand to keep it from leaning on anything, as well as a cover or tarp, to protect it from the sun and the rain. Taking action on both cleaning and storage of your bike, can keep it running as smooth and well as it should – also to ensure it remains safe, and reliable. Community Events; Riding Community, Events, Bike-Friendly Cafes. Bicyclenetwork.com.au; aims to make it easier for everybody to ride a bike, everyday. On their website, lists a whole range riding events, group rides, as well as programs. Wheelwomenaustralia.com; a riding community, aimed at empowering and encouraging women to get out and start riding a bike – with a regular riding schedule. Melbournecyclingleague.com.au; an incorporated cycling club affiliated with Cycling Victoria – welcoming anyone young or old, male or female. Cycling Australia – affiliated with both Cycling Victoria, and Cycling New South Wales; for cycling news, racing events, as well as other opportunities for keen cyclists. Within Melbourne and Sydney, a plethora of bike-friendly cafes can be found – stretched all around both cities. Some to be found along bike routes, as well as others with specific bike-parking designs – to ensure you’re able to dismount with ease, and enjoy a relaxing post-ride latte. A few of our favourites are below, but, if you’re wanting to find your own little gem, there’s a neat site wholly dedicated to bike friendly cafes: bikefriendlycafes.com. Melbourne; St Ali North, Allpress Espresso, Gauge Espresso. Whether or not you’re riding one of our bikes – a vintage bike, an eBike or a commuter, we hope that the above guide helps you answer some of those questions that you may have had. If you’re in Melbourne or Sydney, and are interested to check out more about Lekker Bikes, we invite you to pop in to either one of our Melbourne or Sydney branded shops. You’ll also find our bikes within a range of retailers in both cities. Alternatively you can jump online at lekkerbikes.com.au and chat with one of our staff members through our online chat. Or, simply give either one of our shops a call – we’d love to hear from you!